"Chlamydia Trachomatis as a Probable Cofactor in Human Papillomavirus Infection in Aboriginal Women from Northeastern Argentina." Braz J Infect Dis. 2011 Dec;15(6):567-72. Deluca, GD., et al. Northeast National University, Corrientes, Argentina. Human papillomavirus (HPV) is the most frequent sexually transmitted infection, and it is strongly associated with cervical cancer (CC) and Chlamydia trachomatis* (CT) infection. CT is a risk factor for HPV and for CC. In this study, patients from a poor part of northeastern Argentina (the Pilaga indigenous people) were studied. Twenty percent of sexually active women were tested in this study. 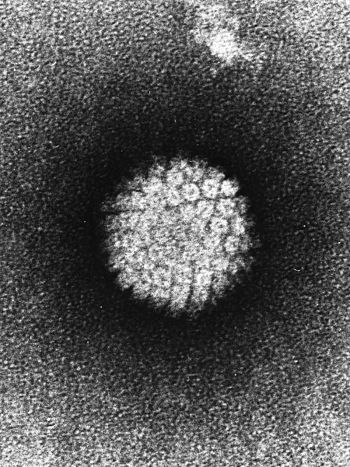 Among the patients, PAP smears were done, and testing was done for HPV and CT DNA. There were very low rates of smoking and of use of oral contraceptives. The population is very poor and almost none of the patients had sanitary latrines in their homes. The most common HPV found was HPV-16. The CT prevalence rate was extremely high at 26.4% (possibly the worst worldwide). It is known that CT infections increase HPV entrance and persistence in the human body. The HPV rate was extremely high at 46.7%. Both infections were seen in 16.3% of all patients, and the frequency of infections increased parallel to the increased frequency of cervical lesions. CONCLUSION: Chlamydia trachomatis is a risk factor for HPV infection and cervical cancer. “… chlamydial infection may play an important role in the natural history of HPV infection.” This could be due to the two infections supporting each other in some way. Increased cervical cancer frequency is known to be associated with HPV infections. NOTE: *Chlamydia trachomatis is the Latin name of one kind of intracellular bacteria which can be sexually transmitted. To read the author’s abstract of the article, click on the title of the article. Then, to read the full article, click on the full text icon.